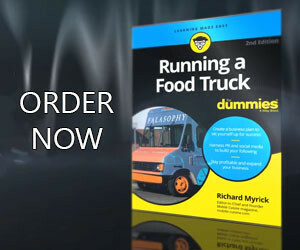 When starting up a new mobile food business, one of the first areas most prospective vendors get discouraged by is how they will come up with the money they will need to get their rolling bistros onto the street. We have put together a series of articles that will help you get past this hurdle and better understand what financing you will need, as well as the various avenues you can use to get it. To start with, you need money to rent, lease or purchase a truck or cart for your business. Other areas you will need funding for will be kitchen equipment, supplies, commissary fees, professional fees such as legal and accounting, as well as initial permitting in the municipalities you plan to work in. In some cases, you may also need money to pay employees. There are several places where you can get this money that your new mobile business needs, but first you need to think about which type of funding will work best for you. In this article, we will explain the differences between the various types of capital and the stages at which they are needed. Seed capital – Seed capital is the money you need to do your initial research and planning for your business. Start-up capital – Start-up, or working capital, is the funding that will help you pay for equipment, rent, supplies, etc., for the first year of operation. Mezzanine (expansion) capital – Mezzanine capital is also known as expansion capital, and is funding to help your company grow to the next level, purchase better equipment, or add additional trucks to your fleet. Bridge capital – Bridge funding, as its name implies, bridges the gap between your current financing and the next level of financing. Each of these areas will play an important part in your mobile food service company’s growth at various stages. 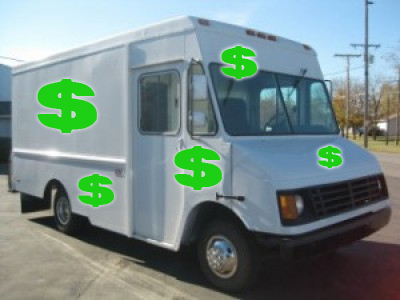 Since most food truck operators will need start-up capital, we will focus on this area. You are going to need funding to keep you going while your business cuts its teeth. What will this money be spent on? Make sure you allow enough money for the true expenses associated with running your mobile business for at least the first year of its operation. (And don’t forget to pay yourself first.) Make sure you’ve planned for additional employees, food production increases, additional fees and licensing for new locations to sell your gourmet fare in. One of the top reasons many new businesses fail is because they don’t get enough start-up capital. (The other reason is poor management.) Realistically estimate your financial needs and leave room for the unexpected, or you may unexpectedly be out of business. Now that you know about the different types financing for different stages of your mobile food vending business’ growth and have an idea of how much capital you will need. How does this financing work? In the next of our series we will explain it to you.